Flood Damage: What It Is and How to Tackle Its Consequences? 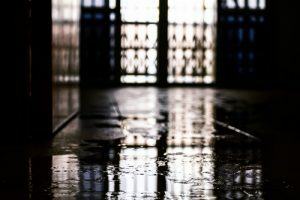 There are several types of water damage that can affect your home, causing you to need water damage restoration in San Diego, but not all of them are classified as flood damage. This difference might not seem important when all you are trying to do is deal with the aftermath of flooding, but it will affect your insurance claims. The main thing you need to determine is where the water has come from before filing an insurance claim. Even if your policy covers the type of event which has affected you, you should focus on how to save a flooded home. This means determining all the necessary steps and planning the right course of action. Calling professionals to deal with it all can leave enough time for some more pleasant activities, such as going to the San Diego Public Library. If you’ve had the misfortune of being affected by water damage, you will most likely be wondering how long it will take before everything is repaired and back to normal. Surely enough, this all varies from one individual case to the other, and here are some influencing factors. Probably the biggest issue to deal with when your San Diego home is influenced by water damage is how much water there is. A smaller amount can be dealt with in a matter of minutes, while larger ones will require at least several hours, if not days. All of this provided you have a pump and electrical power at the time. Determining what type of flood water you are dealing with will also influence the overall time needed for successful flood recovery. Clean water just needs to be removed, while water from a real flood can have sewage, waster and other hazardous materials. This will require a more thorough cleaning and disinfecting process. Sometimes, you might need to just dry out floors and carpets in a certain area, without the walls and other items being damaged. If, however, not only metal, wood and plastic object have been affected, but clothing and upholstery as well, this will mean more work. You also need to take into account anything that has to be torn out and repaired or replaced later on. 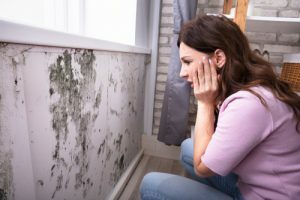 How to prevent mold after water damage in San Diego? 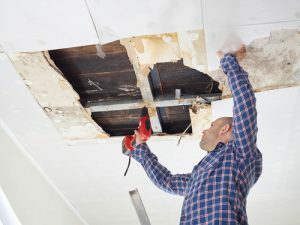 A crucial step in the aftermath of water damage is dealing with the prospect of a mold outbreak. Mold can damage your belongings even further, so it’s crucial to take some preventive steps. Stopping more water from coming into the house and removing standing water from all corners is where you start. The moisture is what attracts mold in the first place, so it needs to go as soon as possible, which is best done with a dehumidifier and some fans. Some of the items can’t be saved after a flood, especially those that were below the water line. These include damaged parts of the structure, pieces of furniture and some personal items, among other things. They have been contaminated by the flood water and should be thrown out just in case. Of course, there are plenty of things which can be saved, so you need to dry them all out. Mold needs only a day or two to infect certain areas, so this part also has to be quick and efficient. This is where you might need the help of professionals with proper equipment. The final step of the process is to sanitize all affected surfaces in your household. Use special solutions which can get rid of the bacteria and also prevent mold from appearing. Clean everything, from big surfaces, to wooden furniture and porous surfaces. What is the best way to reduce flood damage? Floods can’t be prevented from happening, but there are steps you can take to reduce the potential damage. Getting informed of potential risks for your area of residence, no matter if you’ve just moved in or have been there for a while, can really be helpful. This way, you will know the challenges you might be facing in case of flooding and be better prepared to face them. Look for that information on government or local community websites. Think about what you would absolutely hate to lose if a flood were to affect your San Diego home. Now, where possible, move all of them onto high shelves, a floor up or maybe to the attic if you have one. This is especially important when a likelihood of flood has been forecast. A leaking roof is something you will want to avoid at any cost, because it can significantly increase the potential water damage. Check all tiles and slates for damage and replace accordingly, using waterproof materials where possible. This way, rainwater will have a hard time finding its way into your home. You might think you won’t ever need it, but it’s better to be safe just in case. It won’t exactly decrease the amount of flood damage, but it will most definitely lower your repair and restoration costs. Even if you have already purchased any type of homeowner’s insurance, check to see if it covers flood insurance as well. Seeing what water has done to your home can be disheartening, but it’s not as bad as it seems. Good news is that water damage restoration professionals in San Diego are just a call away from you. At KIC Restoration, we are prepared for any type of water damage situation you might be facing, so you don’t have to do it alone. We will do whatever it takes to salvage and restore anything that is important to you, all the while keeping everything safe and secure. We are dedicated to providing affordable quality service, so you won’t have to break the bank when you call us. You can contact us at any time, as we are there for you 24/7. See for yourself what it is that sets us apart from the rest!